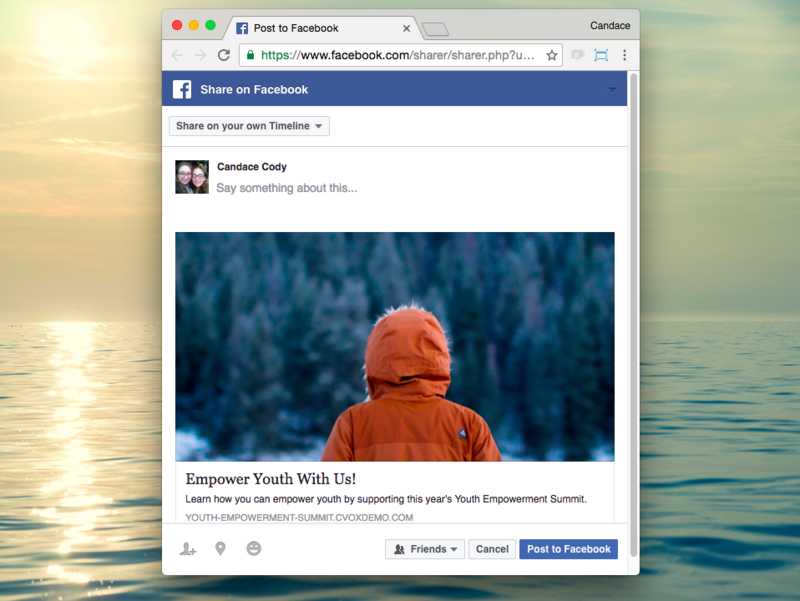 You can optimize your Facebook social sharing image sizes to generate great previews. Use images that are at least 1200 x 630 pixels for the best display on high resolution devices. At the minimum, we require using images that are 600 x 315 pixels to display link page posts with larger images. 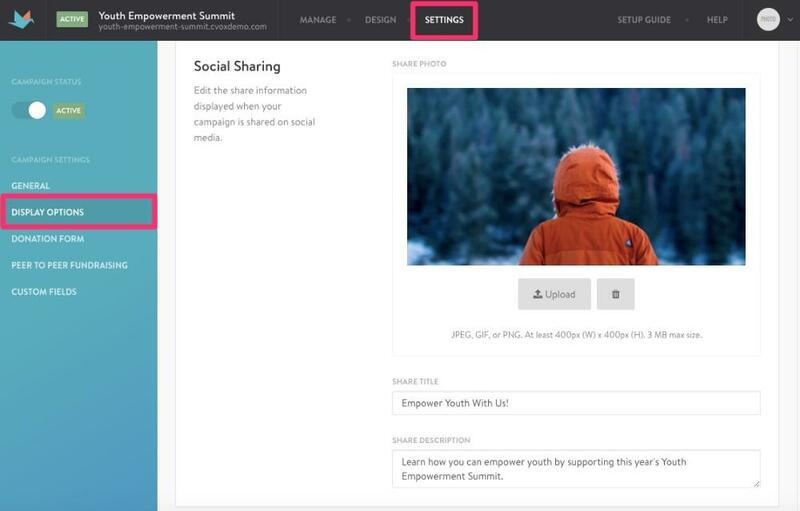 Once you setup the social sharing settings, any social share will pull from that customized content automatically. We do not allow you to upload any images smaller than 600 x 315 pixels so that your Facebook sharing can be fully optimized. Try to keep your images as close to 1.91:1 aspect ratio as possible to display the full image in News Feed without any cropping on mobile phones.